I got up early this morning to get ready for a seminar I’m doing tonight, but I really want to go back to bed. I just finished up hosting a writer’s event up here in Erie, PA, and after 8 straight days out on the ice, I can tell you…I’m whooped! But it was a very productive outing and hopefully we’ll do the Erie Ice Camp again next winter. There are so many other things going on this off-season that I can say for the first time in my career that I’m concerned, and losing some sleep. My wife, Anne, and I have been praying continuously, and though we remain confident, we can’t help but be a little worried at times as the 2015 season rapidly approaches. 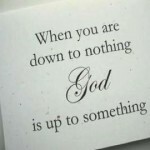 Someone sent me this the other day…“When you are down to nothing, God is up to something”…and I’m holding on to that. I also believe in the power of prayer, and through this blog, I’m asking that you would kindly add my family to your prayer list. There are a lot of tough things going on in this world right now, people suffering through much worse circumstances, that my situation seems so incredibly insignificant. 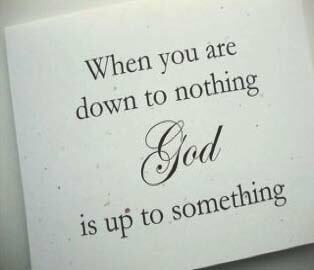 But I’m prepared to accept whatever is meant to happen in my life, still working hard to maintain the life I feel God called me for, but just praying for some direction at this time and a new sponsor opportunity. Anne and I believe we made the right decision to step away from our team deal with FLW, And then when Kellogg’s pulled out, just days later, it actually seemed like a “sign”, but so far, every door has closed as we seek a fresh new start. As long as we have our family and friends, that’s truly all that really matters. God is good and in control! I’ll keep you posted right here throughout the rest of the year. 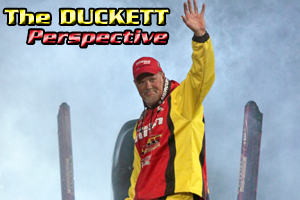 And hey, if you’re not doing anything later, come join me on Pro Web Live tonight at 8pm ET. My seminar topic is “Finding Sweet Spots” and it’s completely free to watch by visiting www.proweblivestream.com. Make sure to bookmark this link because there will be a bunch of seminars with a lot of the top pros passing by throughout the season. If you want to interact, ask unlimited questions, and have the shot to win lots of prizes, you have to buy a VIP Front Row Seat, or an annual VIP Gold membership…all the info you need can be found on the website: www.proweblive.com.